user-generated Headlines and reports on this page = 3 news items. Page - 6. MERSEYSIDE Police have informed the media that they have charged a man and a woman following a series of burglary offences, that have taken place in Formby, Crosby and Blundellsands, between October and November 2017. On Monday, 13 November 2017, Michael Hall, 29, from Seaforth and Lindsey Browning, 35, from the Wirral, were charged with conspiracy to commit burglary. These charges relate to a series of burglary offences and include the burglary in Formby, that resulted in the theft of Tilly, the dog who was has now been reunited with her owners. Detective Inspector Robbie Moss said:- "Not only have our investigations enabled us to recover items taken in a number of burglaries, but we can happily report that a much loved family pet has been reunited with its owners in Formby. To be able to bring some happiness back to a family who have been traumatised by this burglary is a brilliant result for us. We will look to take positive action on all reports of burglary and vehicle crime. This action is a small part of extensive work which goes on daily. I want to reassure people that we treat such offences seriously and information from our communities is vital to this work. Keep giving us this information and we can keep taking action and reduce such offences. I would urge local residents to check their front doors, windows and vehicle and garage doors, and ensure your car keys are safely out of sight. Once you get into the habit of doing a quick check it doesn't take much time at all and can save you a lot of distress in the long run." Anyone with information about burglary is asked to speak to local officers, call:- 101 or leave information anonymously with Crimestoppers on:- 0800 555 111. Information can also be provided via their online form. NEW powers which will give Liverpool City Council the ability to hit rogue landlords with fines of up to £30,000 are set to be approved. The Cabinet is being asked to adopt new powers under the Housing and Planning Act to impose civil penalties on private sector landlords where properties are unsafe or dangerous, without having to resort to Court action. It is the latest in a raft of measures introduced to drive up the quality and standard of private sector rented properties in the City, which now accounts for around 30% of homes. In 2016, the City Council received over 3,500 complaints about properties; with the majority about the private rented sector. Liverpool is the only City in the country to operate a Landlord Licensing scheme; introduced in 2015; which lays out standards that the private rented sector must meet, and gives tenants an expectation of their rights. A further 1,300 Houses in Multiple Occupation (HMO) properties are subject to the separate Mandatory Licensing Scheme and will also be covered. The new powers will enable the Council to take action against breaches of Landlord and HMO licences, plus for overcrowding and failing to comply with an improvement notice. Councillor Frank Hont, Cabinet member for housing, said:- "We have many good and responsible landlords in Liverpool, but the sad fact is that we have some who are happy to take the money and house people in appalling conditions. It is simply not right that people who are the poorest and most vulnerable in society are sometimes living in dangerous conditions with badly wired electrics, doors which aren't fireproof and blocked escape routes. We are determined to send out a clear message that we will take action where we come across landlords breaking the law. Nobody should live in a death trap and these new powers will give us a greater ability to take action against bad landlords without the need to take a case to Court. All the money we raise will be used to enable us fund more enforcement action." So far Liverpool City Council has granted 38,000 Landlord Licences, but a further 6,500 unlicensed properties have been reported. Of those unlicensed properties which have been inspected, around 78% have been found to be non-compliant, usually with significant issues in relation to fire, and in some cases they have been closed down. There have been 19 successful prosecutions, 113 cautions issued and 41 formal written warnings. Another 670 cases are currently being considered for prosecution. The report will be considered by the Liverpool City Council's Cabinet, on Friday, 24 November 2017. ► Closure of 3 bedsits on Lodge Lane in Toxteth in October 2017, which were a serious fire risk for tenants. It had been poorly converted into 8 bedsits, all of which were unlicensed including:- broken fire doors with missing self closers, damage to walls and ceilings within the bedsits and the means of escape, allowing for the fast passage of smoke and fire and exposed electric meters in communal areas increasing the risk of spread from fire. ► Closure of 6 privately rented flats on Grey Road in Walton in September 2017, due to smoke detectors not working, problems with fire doors and a dangerous electricity meter. The team found that the automatic fire detection providing protection to the common areas of the property was defective and completely disconnected from the electrical supply. It would not have provided any warning of a fire in the property, and threatened to prevent tenants escaping from the upper floors. ► A landlord whose tenant's home on Clanfield Road in Croxteth was flooded with sewage, from a blocked drain, was found guilty by Magistrates, in September 2017 of managing a property without a compulsory licence, and fined more than £1,300. ► A landlord who rented out unlicensed properties and breached an Emergency Prohibition Order, was fined more than £15,000, in September 2017. They pleaded guilty to 17 charges including operating unlicensed properties and breaching an Emergency Prohibition Order on 2 separate occasions. The means of escape was obstructed with domestic waste and furniture which would hinder swift exit in the event of a fire and there was no proper fire alarm system in place. SCHOOLS in Sefton have been honoured at the prestigious Educate Awards ceremony that took place on Friday, 17 November 2017. 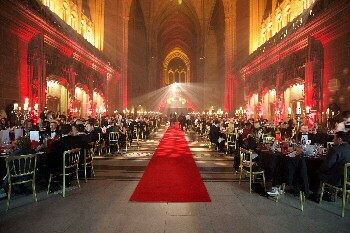 Nearly 600 guests gathered for the Educate Awards ceremony held at the Liverpool Anglican Cathedral, hosted by broadcaster Simon 'Rossie' Ross. The awards, in partnership with Copyrite Systems and Ricoh, is now in its 6th year and is the biggest celebration of education in the North West. 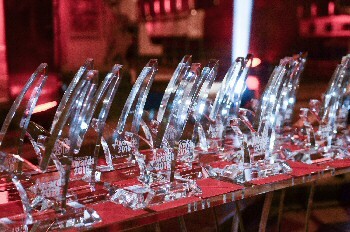 On the night, 21 awards were handed out to Schools in the Liverpool City Region, Lancashire and Cheshire. The opening act was a 300-strong Super Choir led by musical director Steve Cook from Formby High School. Participating Schools included:- Formby High School; Freshfield Primary School; Redgate Primary School; Saughall All Saints CofE Primary School; St Anne Stanley Primary School and Valewood Primary School. Guests were also treated to music from St John Rigby College students; a special performance of Beauty and the Beast Jr by Archbishop Blanch School; a fashion show by Holly Lodge Girls' College and a spoken word performance by 5 students from The Hollins Technology College. 2 Sefton Schools were among the winners on the night. Netherton Moss Primary School fought off stiff competition and won the 'Outstanding Teaching of Life Skills' award for its focus on teaching children how to cook. The project explored many areas of cooking, including the financial and economical skills related to food, the growing of vegetables in their own School allotment and hosting food events for the local community. Central to Netherton's work is its cooking space, christened:- 'Moss Munch' by the children. Judges commented:- "What a fantastic project teaching a wide range of life skills. Using cooking as the main ingredient to teach pupils all about financial and economical skills. The School even has its own allotment which is a big hit in the School community!" Formby High School took home the Most Inspirational Secondary School award, thanks to its impressive academic performance; extra curricular lessons; fundraising initiatives and experiences students can take part in. In the words of the School:- "Whether it is the students, the staff, the parents or our community partners, Formby High School is home to a diverse family of people, who possess a shared vision to create a unique, world class learning environment to nurture and showcase everyone!" Kim O'Brien, founder of the Educate Awards, says:- "The Educate Awards is an opportunity to shine a spotlight on the teaching profession and say thank you to the remarkable individuals who improve the life chances of our children. We are proud to host this event which champions the creativity, diversity and dedication of teachers, School support stars, Schools and colleges in the Liverpool City Region, Cheshire and Lancashire. Congratulations to all the winners, runners-up and shortlisted Schools." The winners were chosen by an esteemed judging panel which includes:- Michelle Dow, managing director of All About STEM; James Tartt, Merseyside track athlete and architect; Radio City breakfast host Leanne Campbell; Councillor Gary Millar, Assistant Mayor and Mayoral lead for business and international trade; Chris Walker; Lesley Martin Wright, chief executive of Knowsley Chamber; Fiona Barnet, director of The Foundry Agency; Andrew Pimbley of Wirral's Claremont Farm; Sue Cronin, head of teacher education at Liverpool Hope University and the education team at the respected Everyman and Playhouse Theatres. Held in partnership with Copyrite Systems and Ricoh as title sponsors, other category sponsors include:- Liverpool John Moores University (LJMU); The Foundry Agency; Wray Brothers; Paul Crowley and Co; The Bishop of Liverpool, The Rt. Revd. Paul Bayes; MILK Education; The Liverpool Learning Partnership (LLP); Shaping Futures; All About STEM; Hi-Impact Consultancy; LSSP; Air Products; School Improvement Liverpool; CER Education, DMR David M Robinson Jewellery and Watches, and Progress Schools.